Preheat oven to 200°C. Dust a baking tray with flour. Sift flour, baking powder and salt into a bowl. Add butter and rub in with your fingertips, shaking the bowl occasionally to bring any large lumps of butter to the surface. Add cheese and mix. 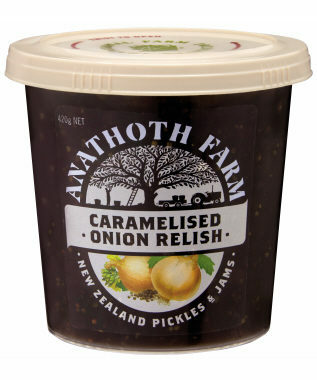 Add Caramelised Onion Relish and milk and mix quickly (using a knife), to form a dough. Tip dough out onto a lightly-floured bench top and bring together. Place dough on the baking tray and roll or pat out to about 3cm thickness. Cut dough into desired shapes. Brush with egg wash and place in oven. Bake for 15-20 minutes until golden and puffed. Remove from oven and place scones on a wire rack and cover with a clean tea towel. 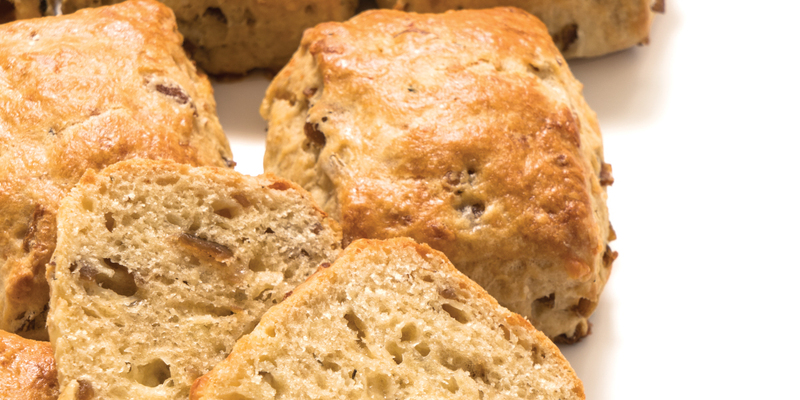 Scones are delicious served warm with butter and extra Caramelised Onion Relish.